Gainsborough Heritage Centre hold regular events throughout the year, including talks, special exhibitions, dances and living history weekends. The next 1940s Heritage Ball is happening on Saturday 18 May 2019 so book those tickets now!!! Check out the Centre's popular Facebook page and comment on TripAdvisor about your visit. The Centre's role is to make Gainsborough's history and heritage accessible for present and future generations. 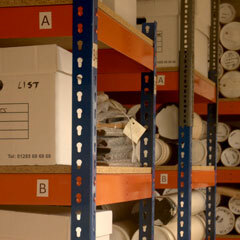 The archives include information on industry such as with Marshall's and Rose Brothers as well as local schools and buildings. 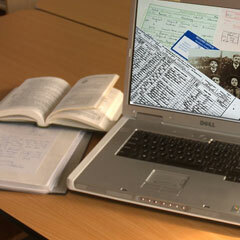 Resources include the local newspapers, photographic archives, cemetery records and much more. The Centre has several local archives and databases that may help with your Gainsborough related research. Tracing your family tree? The Centre's volunteers will search the records and archives and see if we can help. The research team are always willing to help, so send your enquiry and the team will be in touch. The Centre's shop stocks a wide range of local history books (by local authors and historians) CDs, DVDs and gifts for all ages. If you are researching local or family history, the latest CDs include the 1851 and 1886 maps of Gainsborough. Items are available to purchase directly from the Gainsborough Heritage Centre shop or posted by request. The ‘Telephone Exchange,’ themed tea room highlights the history of the building and is situated on the ground floor of the Centre. 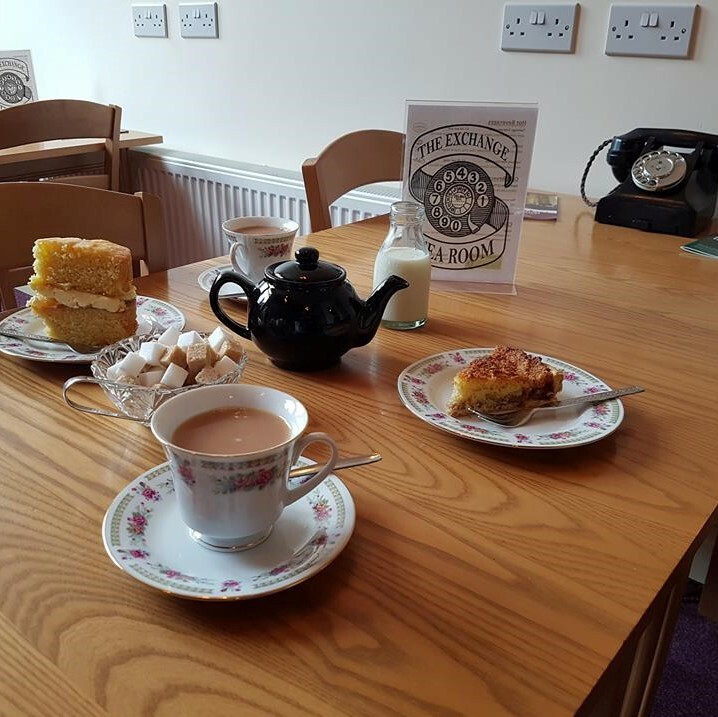 The ‘Telephone Exchange Tea Room’ serves a lovely range of refreshments including a wonderful choice of cakes. The tea room is open every Tuesday, Saturday and Sunday during opening times and is well worth a visit! So come along and enjoy. The Centre is open three times a week, every Tuesday and Saturday 10am - 4pm and every Sunday 11am - 4pm and the Centre holds regular events, talks and exhibitions. Information about the Centre's events is situated on the updated what's on page. This year's Heritage Ball is taking place on Saturday 18 May so book your tickets now!!! Entry to the Centre is FREE with donations welcome. Membership of the Gainsborough Heritage Association is £15 to help support and maintain the Centre and has benefits such as 50% off hot drinks in the tea room and photocopying as well as 25% off shop purchases and talks. Information about joining the Gainsborough Heritage Association is available on the membership page. 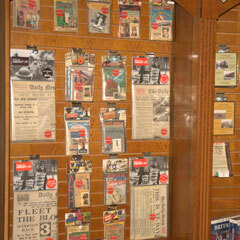 The Centre has an extensive archive of local history information, including a research service available as well as permanent and temporary exhibitions that promote the town's heritage. 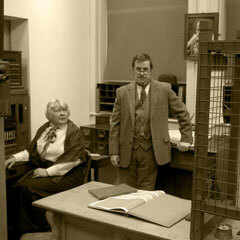 The Centre also has a well-stocked shop and Telephone Exchange themed tea room open every Tuesday, Saturday and Sunday. Group visits to the Heritage Centre can be arranged with staff who will organise to open the Centre for a weekday or evening session. Fancy getting involved yourself as a volunteer then you can learn more on the volunteers page, where you can download the form to apply. Explore the website to learn more about what the Centre has to offer and how the volunteers are continuing to develop the Centre and the Association to preserve Gainsborough's local heritage for future generations. Please visit the contacts page if you have an enquiry. Please note the Heritage Centre will be closed on Easter Sunday 21 April 2019.